Kabar baik untuk anda yang suka memainkan game PSP di Android atau di PC dengan menggunakan emulator PPSSPP,kini emulator PPSSPP sudah tersedia versi terbarunya yaitu PSSPP v1.3 dengan banyak penambahan fitur terbaru. Fix JIT problems on Galaxy S7 and iOS 9+ devices. Fix Android TV support and use latest FFmpeg. Texture replacement support - for custom textures and upscaling. Initial game recording / TAS features. Correctly map memory on Raspberry Pi 3, much better performance. Workaround rendering issues on Tegra K1/X1. Disc streaming to play quickly from tablet/phone on wifi. Initial Vulkan support - not full featured yet. Experimental new CPU backend and CPU fixes. Allow insert/eject of memstick - required by some games. Better support for ps3 controller mapping. Better UI handling for settings with long names in some languages. Screenshots in compatibility reporting, better website. Fix type D cheat codes, allow for homebrew. Graphic glitch fixes in several games. Fix video playback glitches in several games. Various performance and compatibility improvements. Various debugger and GE debugger improvements. 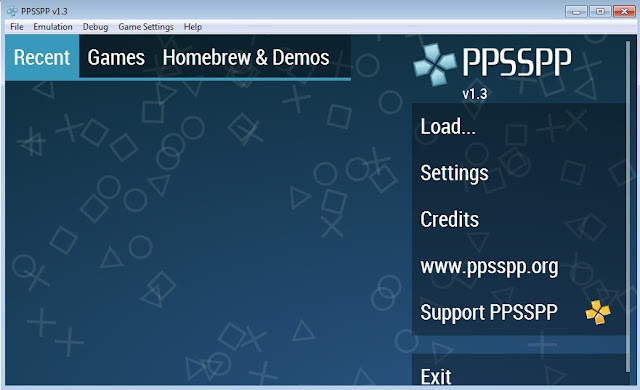 0 Response to "Emulator PSP Terbaru Rilis PPSSPP v1.3 (Android+Windows)"